Ashington FC skipper Andrew Johnson is hoping some good will come out of his absence when the Colliers travel to face Washington on the opening day of the season on Saturday week. 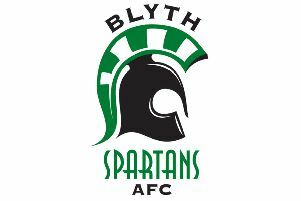 The 27-year-old must sit out the away clash against the newly promoted Mechanics after he was red carded for the first time in his career against Newton Aycliffe towards the end of last term. Johnson has never served a suspended before and is adamant that he has learned the error of his ways after referee Lindsey Robinson flashed the yellow card at him twice in a matter of minutes in the closing stages against the County Durham outfit. “It’s an unusual situation for me because I’ve never been down this road before,” he said. “I’m naturally gutted to be missing for the start but it could be a blessing in disguise for the team. “In recent years we have gone to places like Spennymoor and Norton & Stockton Ancients, and were at home to Jarrow Roofing last season, and I have yet to be on a winning side on the opening day. “So the fact that I am missing could turn out to be a good luck charm for the lads. “Against Aycliffe I let my temper run away with me and I regret that now. Johnson has set himself another personal target, even though he knows the outcome is beyond his control. “Last season I was sidelined for seven weeks with a broken toe,” he said. “Then later on I was out for a similar period after I tore my groin. In midweek the Colliers won 5-0 against a Hartlepool United Academy side with strikes from Kyle Oliver (2), Dylan Armstrong, Dylan Williamson and Michael Bell. The goals continued to rain in on Friday as Steve Harmison’s side ran out 6-2 winners against Ryton & Crawcrook Albion with Jonathyn Quinn (2), Tony Stephenson, Andrew Johnson, Gareth Williams and Michael Bell on target. On Saturday, August 1, Ashington complete their pre-season programme when they travel to face Brigg Town in Lincolnshire. “We are delighted with the way we have got the balance right with the opposition we have played,” said head coach Ian Skinner.